Whether you travel for business or pleasure, the unique Good Flight sleep travel pillow was designed with you in mind because I know how uncomfortable it can be trying to sleep while sitting up. After many long haul flights with unsatisfactory travel sleep pillows I designed this travel sleep pillow to support my head in all positions while keeping me cool and comfortable. You can now purchase your travel pillow online. The patented design of the Good Flight Sleep innovative travel pillow has been rigorously tried and tested. It has three unique features. Included – allowing you to remain cool for complete comfort. 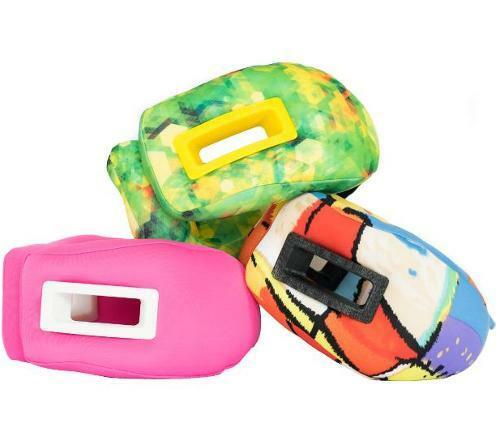 easily removed so the Good Flight Sleep travel pillow can be easily laundered. fits together behind the neck, rather than in front, allowing your head to rest comfortably back on the seat whist you sleep sitting up. means the pillow stays in place, allowing you to change your position while still supporting your head and chin comfortably, therefore you don’t need to adjust the pillow every time you move. allows you to strap the Good Flight Sleep travel pillow to your hand held luggage, leaving your hands free to carry your boarding pass and passport. Proudly made in Western Australia the unique pillow, hand crafted with the highest care comes in two different sizes and is available in many fun, eye catching colours.